The CNIRS is pleased to announce that FossNA will be sponsoring the Gerald S. Birth Award. Foss has more than 60 years of experience as a leading provider of dedicated analytical solutions to maximize value of production of agricultural food products. The Gerald S. Birth Award, conferred every two years for an outstanding publication describing innovation in diffuse reflection or diffuse transmission spectroscopy, is administered by the CNIRS in memory of Gerald Birth. It is fitting that Gerry Birth had major interest in developing instrumentation for the measurement of agricultural products. We are pleased to announce the 2018 Birth Award winner - Professor Satoru Tsuchikawa. Professor Tsuchikawa's academic career started in 1990 as an Assistant Professor at Nagoya University. He earned a Ph.D. in Agricultural Sciences from Nagoya University in 1998. Since 2004, he has been a Professor of the Graduate School of Bioagricultural Sciences, Nagoya University. His main research area is the application of NIR spectroscopy to wood and various agricultural products; he has been involved in this sort of studies for over 25 years, and published more than 100 papers that have been cited many times by other researchers. 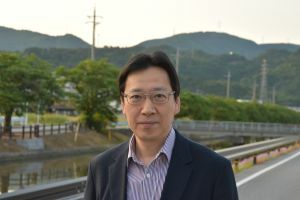 Professor Tsuchikawa has won several awards, including NIR Advance Award (1998), the Buchi NIR Award (2003), the PerkinElmer Award (2003) and the Tomas Hirschfeld Award (2017). He is the president of the Japan Council for NIR (2016 -) and a member of the chairman's advisory committee of ICNIRS (2015-2019) and secretary-general of Asian NIR Consortium (2013-). He is also Editor of Journal of Near Infrared Spectroscopy and Asian Editor of NIR News. Professor Tsuchikawa has also collaborated with various international researchers, including those at Kasetsart University (Thailand), Kyungpook University (Korea), Duisburg-Essen University (Germany), West Hungary University (Hungary) and BOKU (Austria).